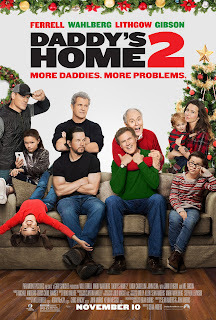 I've never seen the original Daddy's Home, mainly because I don't entirely hate myself, so I'm unable to offer any opinions on how this stacks up against its predecessor. I have, however, seen a elephant defecate, so I can provide some comparison there (said comparison is not favorable towards Daddy's Home 2). I should mention that, as much as I despised this film, it managed to make me laugh a handful of times. I really, really didn't want to, but - to the movie's credit - there were a few scenes or jokes that really landed. They were exceptions, none of them came close to redeeming the film, and they mainly felt like the movie was mocking us by showing us what they could have made instead... but they were real scenes. I didn't dream them. I'm not trying to be clever when I call "A Holiday to Remember" forgettable: it's honestly just the first adjective that pops into my mind. It's been less than twelve hours since I subjected myself to this made-for-TV movie, and I'm already having a hard time recalling details. A Holiday to Remember belongs to a sub-genre best called the Christmas melodram-rom-com. It sounds specific, but - trust me - there are millions of these things. It tries to appeal to everyone by encapsulating all genres simultaneously, but forgets to do any of them even halfway well. The Family Stone is a dramedy about... God, I can't believe I have to type these words again... a dysfunctional family celebrating the holidays together. There are several things the movie does wrong, but one in particular is going to make it astonishingly hard to synopsize: it lacks a solid POV character. I think they were aiming for an ensemble cast, but the goal in those movies is to have multiple points of view - I'm not sure The Family Stone has any. 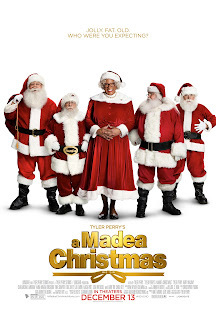 What Tyler Perry, the creator and actor behind Madea, managed to accomplish is nothing short of awe-inspiring. He created a series of plays, films, and television shows that appealed to grossly under-represented audiences, and as a result, he's become one of the most successful producers in entertainment. His personal story is inspiring. The fact I felt I needed to open with all of that isn't a great sign. God, I wanted this movie to surprise me. I went in knowing that Perry's work has never appealed to critics, but I really, really wanted to be able to offer a dissenting opinion. No such luck - aside from a handful of good jokes and one or two compelling dramatic beats, this was an awful movie. 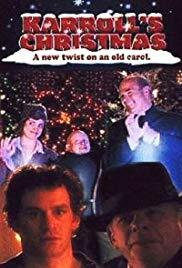 We already reviewed The Christmas Chronicles on the podcast, but I wanted to collect some more spoilery thoughts I had on the plot and overall structure. Which means, if you haven't see the movie yet, you should hold off on reading this until you do. The Christmas Chronicles is a good holiday fantasy you're better off experiencing without knowing where it's going. The movie opens by introducing its two main human characters, Kate and Teddy, through a montage of home movies. We also get a brief look at their parents, only one of which survives past the opening. In a refreshing change of pace, the parent still breathing is their mother (it's disturbing this is as rare a choice as it is). Just want to nip this one in the bud, in case anyone skimmed the title of the post - this is the 1994 remake, not the 1947 classic. I reviewed the classic (albeit briefly) back in the first year of the blog. That said, you can't examine this remake without considering the original, so I rewatched the '47 film before putting this on. And... wow, there's a noticeable difference. It's like comparing apples to oranges after one of those two pieces of fruit passed through the digestive track of a reindeer. 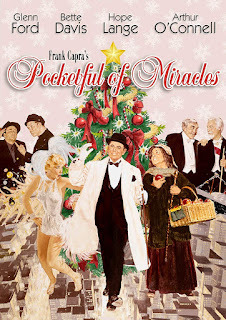 This made-for-TV comedy focuses on Allan Karroll, a man who hates Christmas because... Wait! Come back! I know, I know. Christmas comedies made for TV are almost universally terrible. But while this one isn’t a work of cinematic brilliance, it’s definitely exceptional among its type. I was skeptical of the beginning too. 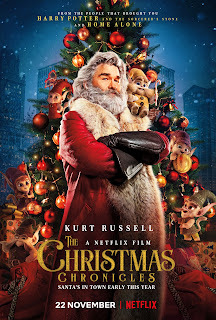 It seems like so many of this genre, presenting a protagonist who has to learn a lesson because they don’t unconditionally love Christmas to an unreasonable degree. However, while Allan’s irritation with a work presentation going poorly and a confrontation with his nasty neighbor are exacerbated by the Christmas season, he’s just average prickly until dinner with his girlfriend Carrie. Then he becomes downright unlikeable, as he can’t let his irritation go and doesn’t even notice that said girlfriend is trying to be romantic (and secretly planning to propose to him). Attempting to outline the plot of the 2003 Christmas/fantasy/comedy/drama is akin to unraveling a Geordian knot. And, no, that wasn't a typo - it was something far worse: a pun. This was directed by LeVar Burton, who also gets a brief cameo. It stars Christopher Plummer, Kevin Pollak, Whoopi Goldberg's voice, and a bunch of Canadian actors you've never heard of. 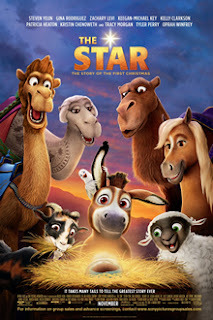 At this point, I'm fairly certain the entertainment industry has invested more time in trying to tell the story of the donkey who attended the birth of Christ than the story of Joseph and Mary. While this attempts to wedge in a bastardized version of the nativity, The Star continues this tradition by focusing its attention on Bo, a donkey with big dreams of one day joining the royal caravan and doing something important. His friend, Dave (a dove), also plays a role, as does Ruth, a sheep obsessed with following the star of Bethlehem. Opposing them are an assassin sent by Herod and his two hunting dogs. I'll admit I kind of like the idea that a bunch of kids are going to be devastated when they learn there's no canonical justification for a bulky cave-troll getting pushed off a cliff by a flock of sheep. But I'm getting ahead of myself. 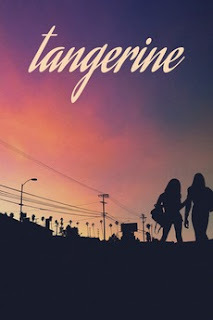 Tangerine is somehow both a broad comedy and a subtle, true-to-life drama. It focuses on one madcap day (Christmas Eve) in the lives of transgender prostitutes Sin-dee and Alexandra. Sin-dee has just returned from a month in prison, and she finds out her pimp/boyfriend cheated on her while she was gone. She spends the day seeking out the other girl (Dinah) and the boy, intent on settling the situation. Alexandra, meanwhile, tries to blunt her friend’s more extreme impulses while she invites everyone (seriously, everyone but the cops) to a holiday cabaret performance she’s giving that evening. The third plot thread belongs to Razmik, an Armenian cab driver who’s a frequent patron of Alexandra and Sin-dee. 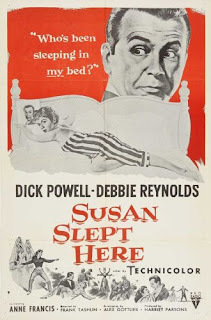 He struggles with the vicissitudes of his job and then skips out on Christmas Eve dinner, risking his marriage, to try to see Sin-dee after he hears she’s back in town. 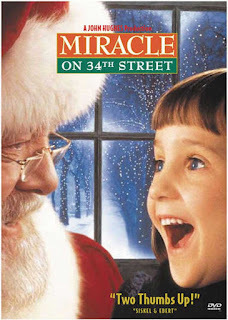 First, let's get this out of the way: I'm not really convinced this qualifies as a Christmas movie. 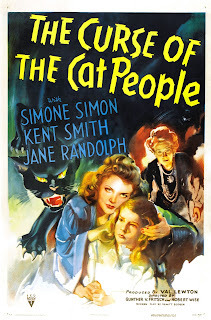 We have a fairly convoluted series of litmus tests we use to determine whether or not a movie is fair game, and the only one Curse of the Cat People doesn't fail is the most subjective of the bunch - Christmas arguably plays a pivotal role in the story. 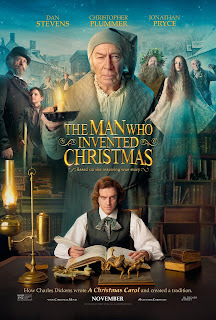 If this were a less interesting movie, I'd probably set it aside, but - frankly - it's unique enough that I'm willing to give it the benefit of the yuletide doubt. Besides, while I can't claim more than half the movie was set at or around Christmas, a solid third absolutely was, so it's not that much of a stretch. We watched the Trolls Holiday Special and walked away with one big question: Is Trolls a Christmas Movie? After we got around to watching the movie itself, we decided the answer is ehhh... not really? Probably not? However, its one holiday element is unique enough that we wanted to catalog it. 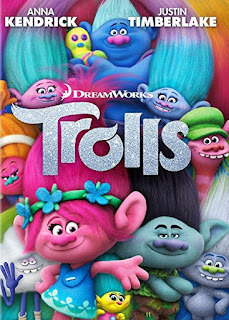 The movie Trolls (based somehow on the plastic dolls from back in the day) is a surreal confabulation of light, color, and pop music. The trolls are small and brightly colored, and the favorite snack of a larger creature that looks much more like your stereotypical common troll. These "Bergens" believe that the only way to be happy is to essentially steal the trolls' happiness (by eating them). I knew going into this movie that despite the title, it wouldn't exactly be a straight adaptation of the book. However, I was surprised how many elements of the well-researched biography made it into this somewhat fantastical film. Plus the heart of the work, the enthusiasm for the subject, definitely transferred. 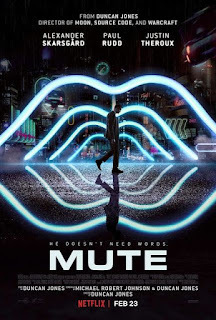 Distributed by Neflix and widely panned by critics, Mute is an SF/noir movie directed by Duncan Jones and set (spoiler alert) in continuity with Moon. I liked this quite a bit more than the average critic, but I won't deny it was a deeply flawed film. If you hear the words "SF/noir" and immediately think of Blade Runner, you have the right idea - Duncan was quite open about drawing his inspiration from Ridley Scott. Oh, also it's set at Christmas. I was a little surprised by that - I put it on because I'm a fan of the genre (the SF/noir genre, I mean, though obviously I'm also a fan of Christmas movies). It wasn't until decorations started popping up that I realized I'd be writing a review. More on all that in a bit.